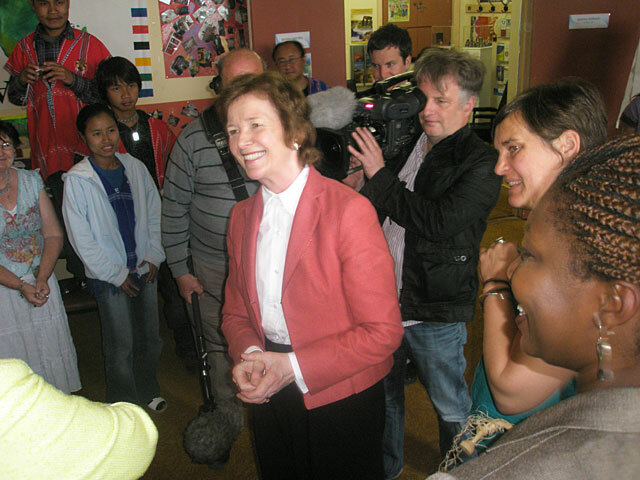 Mary Robinson meets refugees and asylum seekers living in Mayo in Mayo Intercultural Action. Mayo Intercultural Action (MIA) will feature in a documentary on RTÉ One to be broadcast on 7 December next to mark the 60th anniversary of the UN Universal Declaration of Human Rights. The programme, part of the ‘Would You Believe’ series, profiles Mary Robinson, ex-President of Ireland and former United Nations High Commissioner for Human Rights (1997-2002) and will look at her life, her continuing commitment to human rights and her attachmernt to Mayo. 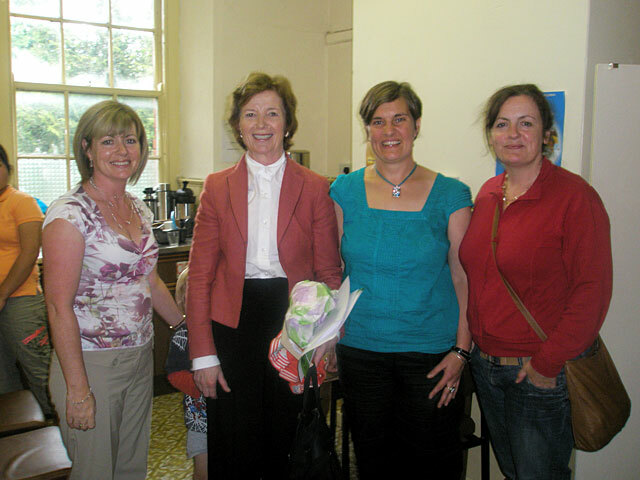 Mary Robinson visited MIA's offices last July and met representatives from the immigrant community living in Mayo. These included asylum seekers, refugees and migrants from different countries who are active and show leadership in their communities. The MIA Intercultural Singing Group entertained Mary during her visit to MIA. RTÉ filmed the visit and this features in the documentary.